Indian viewers are excited to watch Sanjay leela Bhansali’s movie “Padmavati” inspired by the real story of “Chittor ki Rani Padmavati”. Sanjay Leela Bhansali have made Bajirao Mastani also which was true story based on Indian Maratha king Bajirao & her second wife Mastani Bai. Bajirao Mastani was a blockbuster. Ranveer and Deepika together coming in the movie again. Now, we will reveal the real facts & stories about the brave princess of Chittorgarh. Rajput stories have always showed their velour, beauty & royalty. Padmavati is supposed to be the princess of Sinhala dvip(island), daughter of King Gandharva & queen Champavati. Sinhala, Ceylons is today’s Shree Lanka. Padmavati was very beautiful & skilled lady. Padmavati’s father arranged a Swaymvar for her daughter with sword fight competition to decide the most capable man to marry Padmavati. There were kings & princes arrived in the swaymvar(marriage by Girl’s choice) to marry the beautiful princess since her beauty was famous throughout the nation. King of Chittor Rawal Ratansen also took part in the swaymvar though he was married already. King Ratansen won the fight & married princess Padmavati. Ratansen was a great warier & also a charmer of art. His kingdom had many skilled artisans. One of the artist was Raghav Chetan in his court who was a melodious musician. Raghav Chetan was also a sorcerer who would do black magic to put down his enemies. King Ratansen got to know about evil activities of Raghav Chetan & banished him out of the state. Raghav Chetan could not tolerate the humiliation & headed towards Delhi which was ruled by Muslim King Ala-ud-din Khilji. Ala-ud-din was continuously attacking the Rajputs for their treasure & women. Raghav Chetan reached to the court of Ala-ud-din with his clever planning of enchanting the king by sweet flute music. 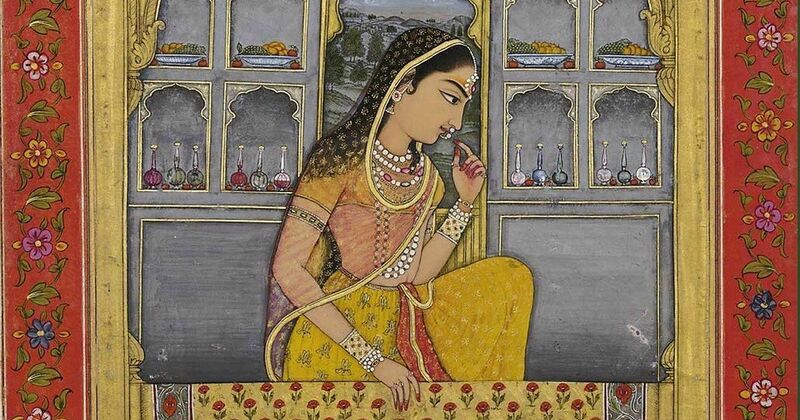 Raghav Chetan explained the beauty of queen Padmavati to Ala-ud-din. Ala-ud-din was a lustful king & decided to attack Chittor to perceive his lusty intentions for queen Padmavati. 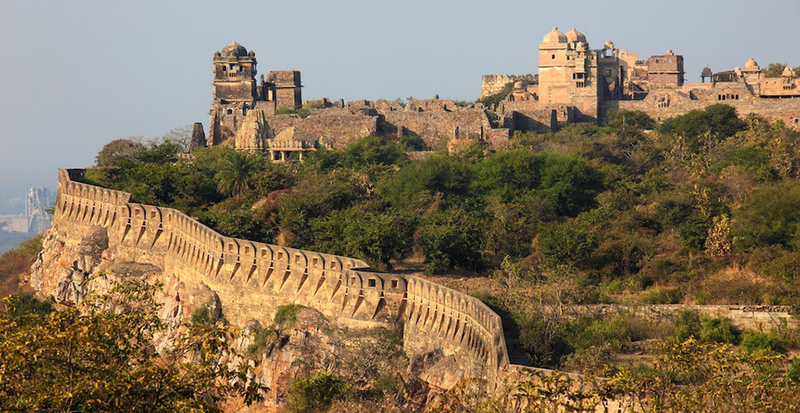 When Ala-ud-din reached to Chittor, he found that fort was strongly guarded. He requested king Ratansen to have a glimpse of queen Padmavati since he have heard all good about her beauty. Initially, king Ratansen refused for this malicious act but after Ala-ud-din insisted to let him meet with the queen as brother, Ratansen asked Padmavati to meet with Alauddin once. Queen Padmavati was a wise lady & she was ready to meet Ala-ud-din on one condition that he ca only see her mirror glimpse. Ala-ud-din entered the fort with his few soldiers & got mirror glimpse of queen Padmavati. After looking at the beauty of queen Padmavati, Ala-ud-din turned unscrupulous & deceived the king with an evil plan. Ala-ud-din asked king Ratansen to come along with him for escorting till the exit of the city where rest of his battalion was present. Ratansen agreed to him & Ala-ud-din kidnapped the king with unethical trap. Ala-ud-din asked to free the king on the condition if queen Padmavati would give herself to him. Queen Padmavati decided to deceive the unethical king by his own unethical way. She prepared the palanquins with soldiers instead of her & female servants. The soldiers reached to the camps of Ala-ud-din where he kept the king Ratansen. Badal & Goru freed him from Ala-ud-din. Ala-ud-din got furious when he was informed about this trap & he decided to seize the fort of Chittor until queen Padmavati don’t devote herself to him. Padmavati was left with two options either suicide or give herself to the evil king. Jauhar was the tradition of Indians where women would burned themselves alive once their husband is dead. King Ratansen opened the door of the fort to start the battle with Ala-ud-din. The power of Al-ud-din was much higher than Chittorgarh & queen Padmavati was aware that her husband with soldier would perish soon. Queen Padmavati arranged a huge fire well chamber within the fort & decided to jauhar (Self-immolation) herself with all 16,000 women of the state. The fire-well was created in the same place princess & ladies used to bath. 16,000 women burned alive in Jauhar to save their dignity & left the Rajputana history rewarded. Ala-ud-din killed all men from Chittor & he found just ashes of burned queens in place of his lusty desires. There were scream of pain & sacrifice throughout the palace. Ala-ud-din could not bear the fierce screams of burning females & ordered to close the kund( Fire well Chamber) forever. Alauddin Khilji was a gay & he eventually got murdered by one of his catamite in the bed. King Ratansen married to queen Padmvati second time since he was married already. There are not any textual proofs of Padmavati’s existence like other Rajput clans. Some historians believe that Padmavati is just an imagination of Poet Mallik Muhammad Jayas in 1540 who wrote a Poem “Padmavat” after 250 years Khilji’s death. Some says that Padmavati Jauhar(Self Immolation) happened in 1290 & some believes it in 1303. Sanjay Leela Bhansali was attacked by Rajput karni Sena while he was shooting for Padmavati movie in Jaigarh fort of Jaipur since he was planning to portray some romantic scenes between Padmavati & Ala-ud-din Khilji. We are super excited to watch the movie Padmavati & her sacrifice. Deepika Padukone is playing of Padmavati as the beautiful queen. Ranveer Singh will be playing Ala-Ud-Din Khilzi. Shahid Kapoor has been casted as King Rawal Ratansen. Note: We don’t claim any written proof of the truth behind this story.